Pickles are my favourite. My food platter is incomplete without pickle. My Mom and Mom In Law make different variety of pickles and each one has their own unique style and recipe. I always pack pickles on my way back from India. I had never thought of making Pickles at home until this year. 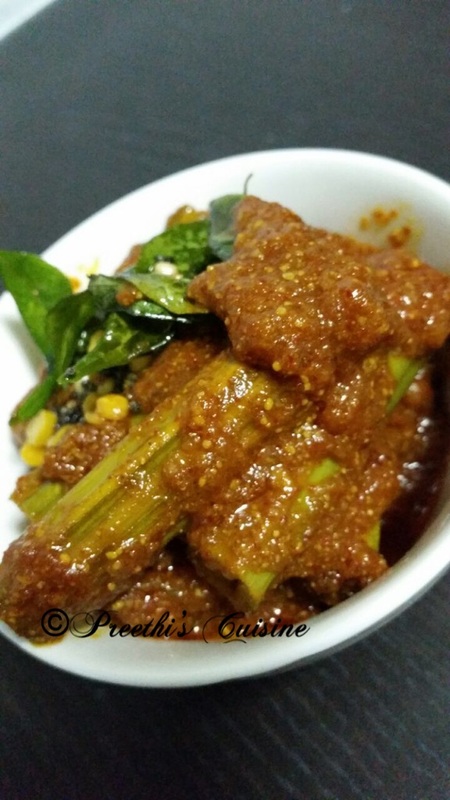 I started making Instant pickle and it was liked by my family. That boosted my confidence and thus began my journey of making pickles . I have tried many types of pickles. 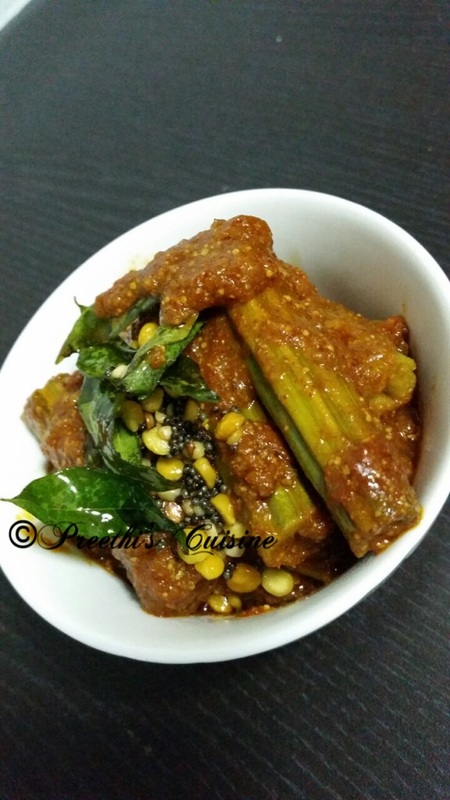 One such unique pickle recipe is Drumstick pickle . Dry roast methi seeds and blend to make fine powder. Soak tamrind in 1/2 glass hot water. Heat 80 ml oil in a wok .Add the chopped drumsticks.Shallow fry for 8 to 10 mins on medium flame.Then remove and keep it aside. In the same wok add chopped tomatoes, haldi and salt to taste.Cook till the tomatoes turn mushy.Then add the drumsticks and cook for 4 mins.Ensure the raw smell of drumstick is gone. Squeeze the tamrind and add the pulp in the wok.Add chilli powder,salt to taste and methi /fenugreek powder and mix well.Once the oil starts leaving the sides you can switch off the stove. Heat the balance oil in a pan.Add curry leaves ,channadal/bengal gram,Urad dal /black gram, mustard seeds.Add the tadka on the pickle and allow it to cool.Store it in a air tight container. 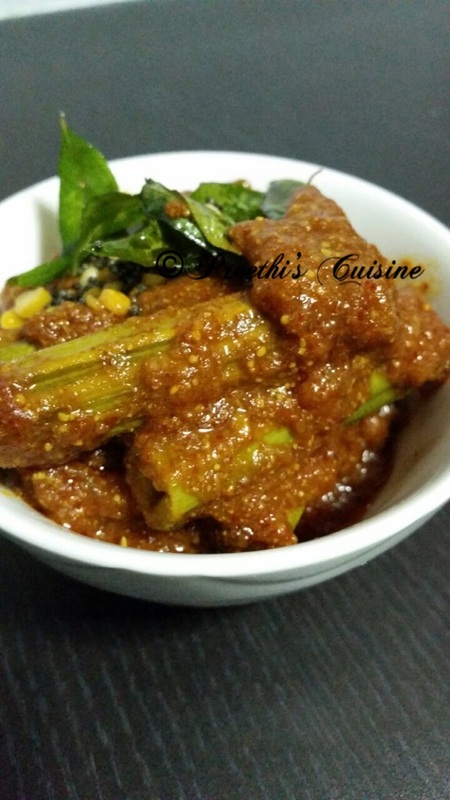 This Pickle is lip smacking and I am sure you will love it. Thanks for your feedback Amrita.Glad you liked it.